This article discusses how a project can be renamed once it has been created. It is important to understand which files are the project files for the type of project being renamed. Please familiarize yourself with the Project File Extensions in this article Info: DriveWorks File Extensions before proceeding. Once a project has been created it can be renamed quite easily. This involves using a combination of Windows Explorer and DriveWorks Data Management Tool. Ensure the Group that contains the project to be renamed is not open in any DriveWorks application. Locate the project file for the project to be renamed in Windows Explorer, this will have the file extension .driveprojx. Rename the project file to the name to be given to the project. Launch DriveWorks Data Management Tool, login to the group and select the Projects stage from the Task Explorer. The old project name will be displayed in red (missing) in the projects list, right click on the missing project and select Change Location. In the Browse for New Location dialog, browse to the location of where the renamed project files exist. 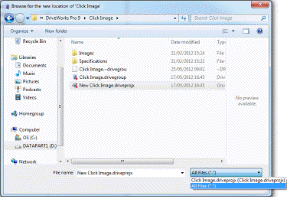 In the same dialog click the file type drop down and select All Files (*. *).